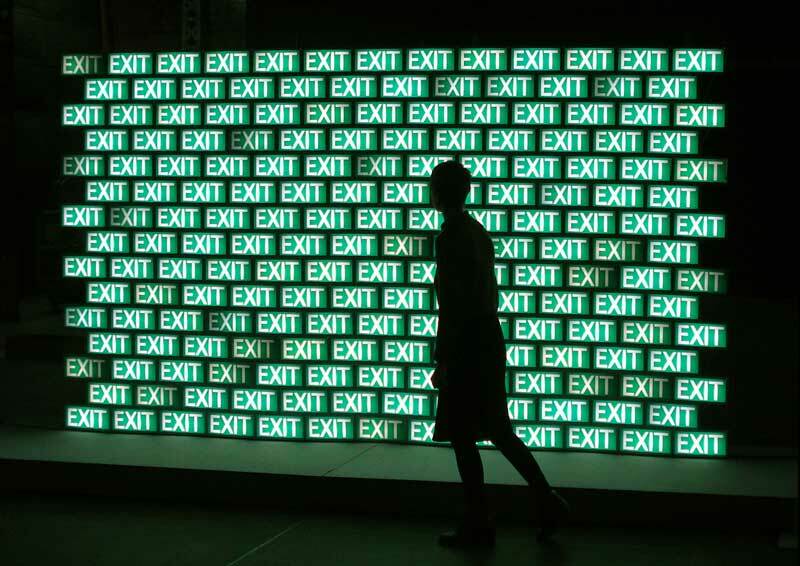 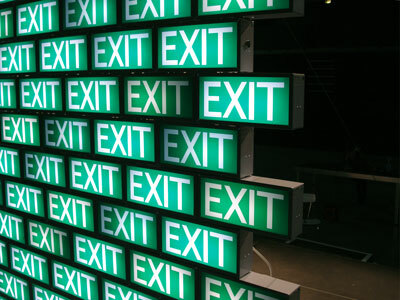 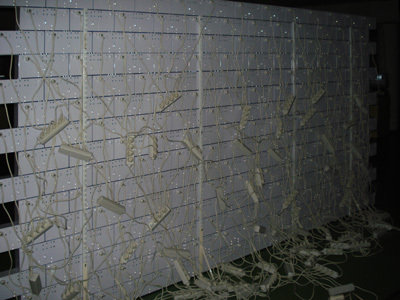 "Exit-Wall" is a modular installation comprising hundreds of illuminant exit signs assembled by means of permanent magnets. 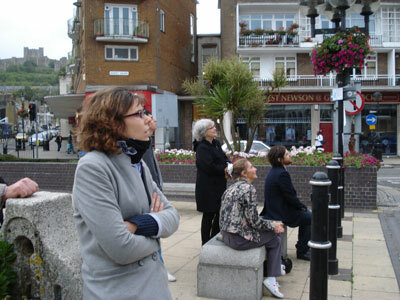 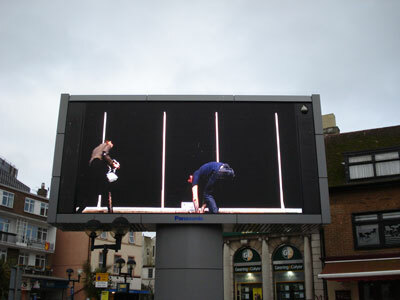 A video featuring the Exit-Wall has been produced for the BBC Big Screen network. 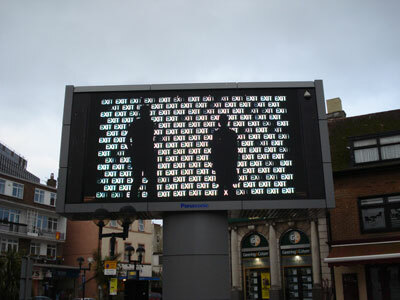 The Exit-Wall project has been realised with kind support from: Conseil Régional Nord-Pas de Calais, Bureau d’Art et de Recherche - BAR #2, La Condition Publique.